The purpose of The Dyslexia Handbook is to provide procedures for school districts, charter schools, campuses, teachers, students, and parents/guardians in early identification of, instruction for, and accommodations for students with dyslexia. This handbook reflects current law as well as legislative action from the 84th and 85th sessions of the Texas Legislature and replaces all previous handbook editions. 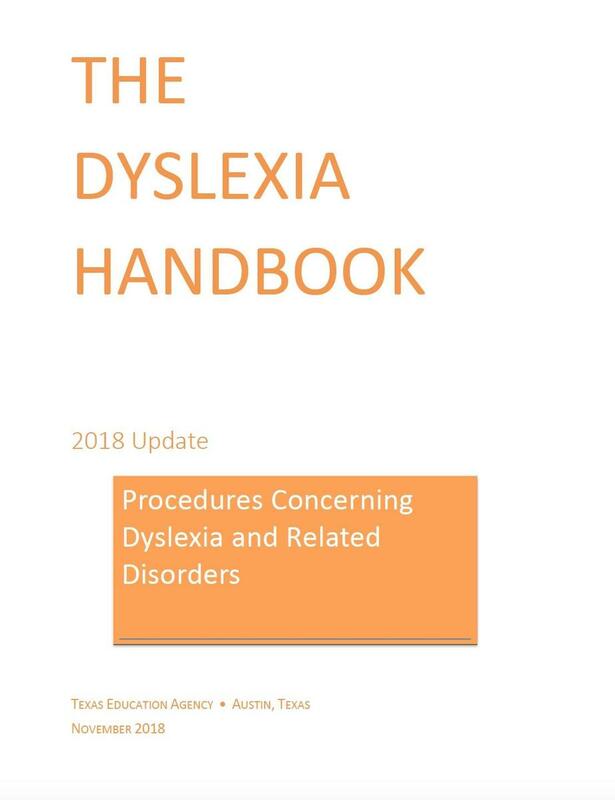 The 2018 Dyslexia Handbook is attached below.